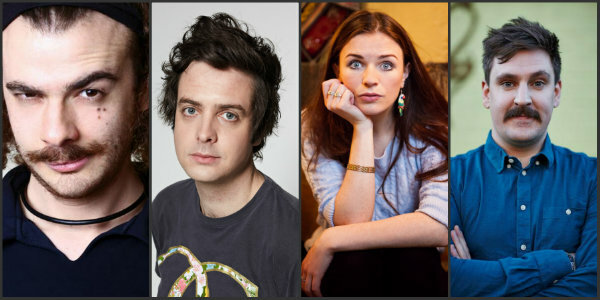 Laugh Out London returns to the lovely Lion in Stoke Newington for another early Sunday evening of hilarity, this month headlined by Irish tour-de-force Aisling Bea! Get your £3 ticket here! Multi-talented story teller who is on her way to stardom is already made appearances on 8 out of 10 Cats Does Countdown, Channel 4’s Comedy Gala, Dead Boss and loads more TV things. Super slick stand up with Appearances on Russell Howard’s Good News and Live at the Electric with sketch group Jigsaw. Tom is also the writer for multiple TV shows including The Last Leg, Mock the Week and the forthcoming BBC sitcom Josh with Josh Widdicombe. Skilled Character comic whose inspired debut hour in Edinburgh won critical acclaim. He is a key figure in the Weirdos Comedy collective having starred as Colonel Sanders in 2013’s alt-comedy panto “The Colonel”. Like Vic and Bob but noisier. Founder of improv wonders Fat Kitten and veteran of the comedy world.